The Renault-Nissan alliance is in the process of hiring a core team of at least 300 technology experts, with expertise in software and cloud engineering, data analytics, machine learning and systems architecture, for its newly-created Connected Vehicle and Mobility Services group. The global auto industry prepares to enter in the technological innovation. Thus, automotive players’ investment such as The Renault-Nissan Alliance in digital automotive innovation are intended to be established. As they are launching at competition with some non – automotive firms such: Apple, Uber, Google … and some technology startups which is also initiating in this field, They launch in the technology experts’ engagement around 300, for their new project in digital automotive. So, this give to all job seekers an opportunity to join their dynamic and innovative team to make a change in the numeric automotive’s world image. The Group was already extended the firm up to Paris, and plan to build a startup within the most diverse multinational car group in which career opportunity are offered. Moreover, their lead in the global market is enhanced, marked with their “Mobility for All” strategy: the zero emissions and zero fatalities which help the consumers to integrate the mass – market at affordable prices. This strategy’s concept includes partnership with suppliers in and outside the traditional automotive industry. Then, the global auto industry’s new innovation give an important opportunity to a new talents and skills in helping the Alliance to create a change and bright image in automotive history. 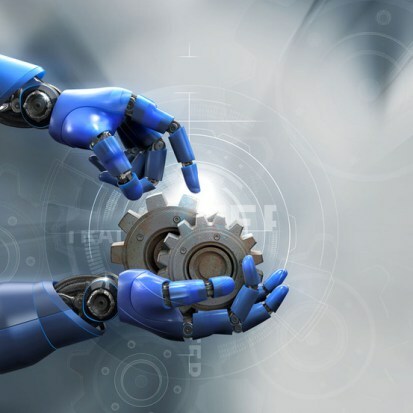 On Automotive World, Xavier Boucherat wrote a great article about how Industry 4.0 has evolved from a disparate set of high-flown ideas around connectivity into a real practice that is saving the automotive industry money and creating new business opportunities. 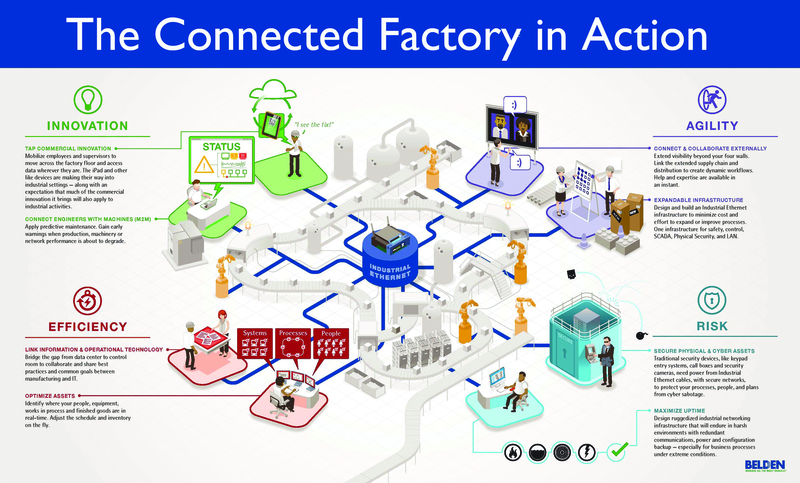 It goes by many names – Industry 4.0, smart manufacturing, the Industrial Internet of Things (IIoT) – but whatever you call it, the idea of connected manufacturing is becoming increasingly pervasive. Indeed, it’s risen to such prominence that 2016’s Hannover Messe, where Industry 4.0 was the central theme, was opened by two of the world’s most powerful leaders – Barack Obama and Angela Merkel. The pair visited a number of stands demonstrating the latest Industry 4.0 applications for industrial analytics, energy management, predictive maintenance and smart logistics. But what’s interesting to note is that whilst the potential impact of Industry 4.0 is often compared to previous technological leaps forward (mechanisation, electrification, digitalisation), many of the projects use technology that’s already widely available. The difference lies in the problems they’re used to solve, e.g. data-mining, and the problems they create, e.g. cyber security threats. Should we view this as a revolution, or an evolution? Bosch, one of the companies credited with coining the term Industry 4.0 at the Hannover Messe in 2011, is clear on this. “It’s definitely an evolution,” says Werner Struth, Member of the Board of Management and Industry 4.0 specialist. “That’s an extremely important point.” Industry 4.0, he says, is now a reality that’s built up over the course of recent years, and no longer a disparate set of abstract concepts. There are now several examples of Tier 1s like Bosch co-operating with automotive customers by means of Industry 4.0. 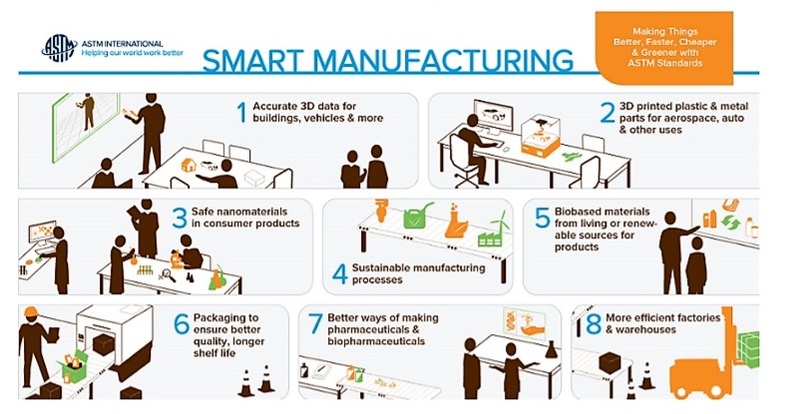 In terms of manufacturing, says Struth, sensors are the key enabler that will help realise the biggest benefits. A production system fitted with sensors, he explains, can provide continuous status updates which can then be compared with a ‘digital twin’ – a simulation of the system that runs at 100% efficiency. Through this, deviations can be quickly flagged, and trends can be more easily identified. Struth points to a concrete example: Bosch has achieved a 25% output improvement for its automatic braking system (ABS) and electronic stability programme (EPS) production with the introduction of smart, connected lines. One OEM that has led the way on sensor-equipped manufacturing that can take advantage of data is Audi. The manufacturer’s tool-making division has designed self-learning technology for stamping operations on press lines. These can automatically adjust to optimise how much material is fed into a press. Pulling too little material over the tool can result in component tearing, whilst excessive material can impact on stability. Sensors measure the force exerted on steel or aluminium blanks, and adjust pressure by raising or lowering stamping dies when measurements fall outside a certain window. This also contributes to sustainable production by lowering the number of reject parts. 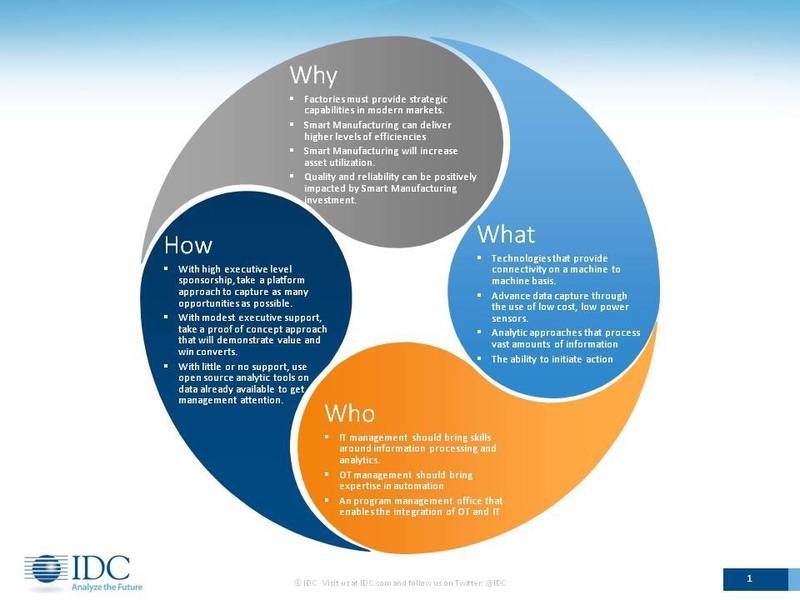 As Industry 4.0 develops, it will be able to better respond to the pressures faced by OEMs. Trends such as lightweighting and electrification remain huge topics prior to the arrival of Euro VII and more stringent CAFE regulations. One of Bosch’s current customers is an EV manufacturer, for which it makes iBooster brake systems. “We have full control not just over the data from our production system, but our customer’s production system, and the components as they are used in the field.” The data returned shows the effect of the brakes on the vehicle, and how effectively they work. Stefan Assmann, Head of Bosch’s Connected Industry Innovation Cluster, explained this gives Bosch valuable insight, “now just into how we thought our product was used, but how it is really used, and through this we can learn how to simplify design, because we get a sense of where it has been over-engineered, or under-engineered.” Similar applications in future could wield further efficiency gains. As well as responding to demands from OEMs, Industry 4.0 could also offer ways to address changing customer behaviour. Assmann says increased demand from customers for customisation and quick delivery is one of the key drivers behind Industry 4.0. “People love things like Amazon because they offer it the next day,” he says, “and it might be in the future that no two cars are quite the same.” By connecting customers directly to manufacturing facilities, the time between making these requests and receiving a finished vehicle could be reduced. Bosch’s Feuerbach plant in Stuttgart, which produces CP4 common rail pumps for diesel injection systems, is using a number of applications such as the production data system. This is connected to a worldwide network that monitors output at a CP4 plant in the Czech Republic, and will later include plants in Bangalore and China. When production drops or rises at any workstation in these plants, they can immediately get in touch with one another to figure out the cause. The same data services will be required for preventive maintenance on connected vehicles in the field, which could potentially let a factory know when it will need a part replacement. OEMs like Volvo Trucks have been leading the way on this. The OEM has previously suggested the preventive maintenance could cut unplanned truck standstills by as much as 80%. The amount of data required will be huge, and could even be collected on a region-by-region basis as different conditions could affect different parts of a vehicle. Peter Brooke, director at Deloitte’s Supply Chain Practice, points out that this could become particularly tricky for OEMs looking to move data across borders. “There is still work to be done, particularly when we talk about the dispatch of data to foreign countries,” he says. “Many manufacturers use China as a base, and there are several issues in the Far East, including the threat of intellectual property theft.” The risk of data sets being stolen increases as they are shared across suppliers, he continues, which in turn means competitors and other bodies, such as nation-states, may be able to see products. Machine Learning contributes in automotive domain problem resolution. The potential of automotive data and the power of its associated analytics have again a progression to provide. The automotive ecosystem could get profit from automotive applications: “Big Data Analytic”. It must be based on vehicle and Head Unit perspective, including: customer feedback in social media, head unit perspective, vehicle and sub-systems performance for the future product design’s guide, failure analyzes. Vehicle Health Reports maintenance prevention. Prevision parts and distribution for OEM service channels and dealership service centers through warranty claims and failure reports analysis. Vehicle user experience global improvement through personalization; which might be in application preference and in HMI theme terms. And smart personal assistance; which can be in assistance term for productivity enhancement and personal convenience providing. Supervised Learning, which is used for data classification and regression; and which is already with training data set and a predetermines finite set defined by a human. Unsupervised Learning, where the learning algorithm’s task is to find hidden relationships between data elements in unlabeled training data. Semi-supervised Learning, labeled and unlabeled data use for training. It is between unsupervised learning and supervised one. Reinforcement Learning, where the learning algorithm discovers training data sets by a trial and error process. Machine Learning contributes in automotive domain problem resolution, but requires again involvement in data and algorithm’s field. These include collaboration with business teams and experienced data scientists. For sure, the global auto industry prepares to enter in the technological innovation. Then, the global auto industry’s new innovation give an important opportunity to a new talents and skills to create a change and bright image in automotive history.